These glamorous birthday party ideas are perfect for girls both young & older. Do you have a little one who likes dressing up or is interested in fashion design? Any fans of Project Runway in your home? Do you have a girly girl that loves getting mini makeovers? 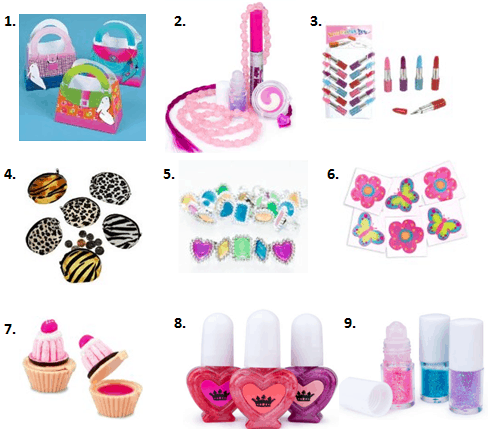 There are many ways to plan a fun fashion birthday party that the kids are sure to love! 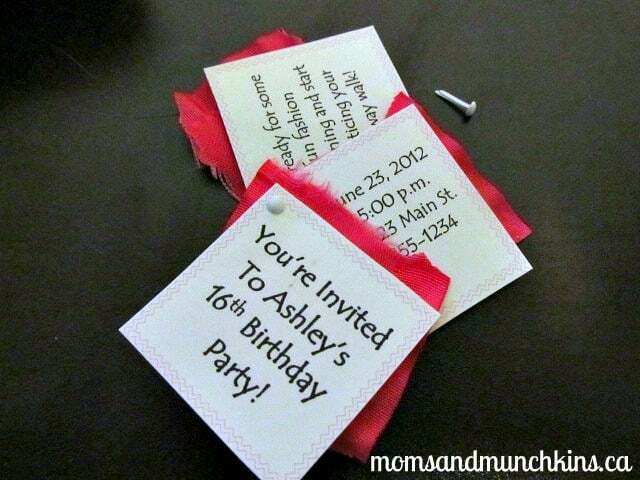 Creating a fashion-related invitation is really easy! You’ll need a few different swatches of material and some brads (fasteners) to create a material swatch invitation. You can alternate paper party detail swatches with swatches of material – see below for a picture sample. Mix up some fun materials like animal print, lace, ruffles…I’m sure you’ll find a lot of great ideas at your local fabric store! You can include a swatch that reads “Get ready for some fun fashion designing and start practicing your runway walk!”. Another simple idea for glamorous birthday invitations you can hand deliver is to tie the invitation onto a plastic tiara and include a note on the invitation asking the guests to wear these to the party. Lots of pink in flowers, balloons and streamers makes for an excellent start to a glamorous party. Put up some extra mirrors around the party area and hang plastic necklaces and feather boas from the corners of the mirror. Anything with glitter and sparkles would make an excellent choice as well. You can create a casual lounge area with lounge chairs or pillows. Include a refreshment area with pink lemonade in plastic martini glasses. You could allow for some time for hair and makeup makeovers as well. Create an area designated as a catwalk – you could line a runway with rose petals for a fun added touch! Don’t forget to line the catwalk with chairs for your audience! Once the design time is up, have each of the teams take turns displaying their models in their newly created outfits. Be sure to have your camera ready! Pampering: Treat your little guests to some pampering by bringing in some professionals to do mini manicure and pedicures for the guests. We’re always sharing new & fun party ideas so be sure to follow us on Facebook, Twitter, Pinterest and Bloglovin’. **Disclosure: I am a part of the Tiny Prints, Inc., Amazon, Big Dot of Happiness and Birthday in a Box affiliate programs. All opinions expressed here are 100% my own. Love the idea of a swag bag! A great little party gift for all the guests.